There are so many great and famous fountains around the globe which can be one of your dream destinations. 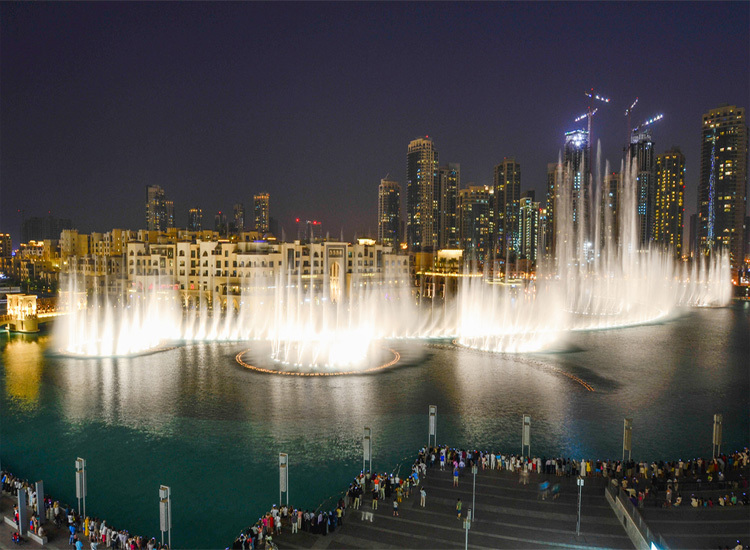 Here are the Top 8 most amazing fountains you can choose from. Fountain of Wealth Fountain of wealth is known to be the biggest fountain in the world. This title was listed by the Guinness Book of Records in 1998. It is circular in shape made of silicon bronze with a 66 meters circumference and known to be a symbol of wealth and life. Constructed in 1995 together with the development of Suntec City, this fountain occupies 1,683 square meters within the Suntec City commercial complex in Singapore. 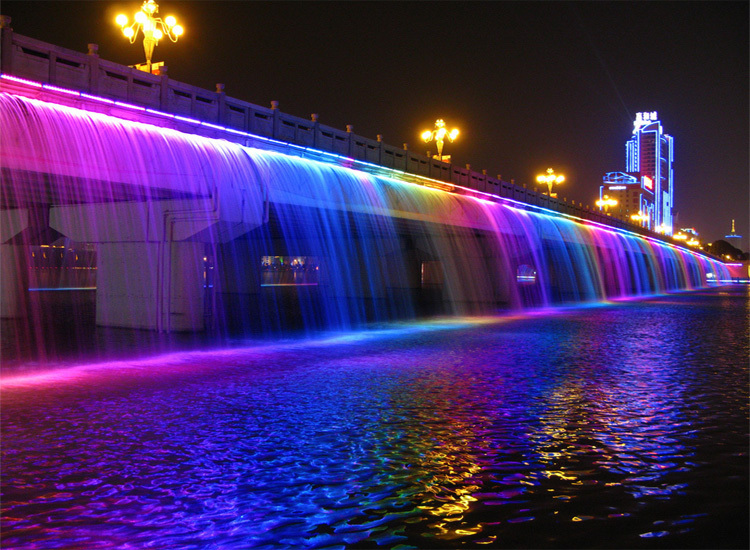 The Moonlight Rainbow Fountain installed on both sides with LED lights on the Banpo bridge of the Han River is located in Seoul, South Korea in 2009. This Fountain is known to be the longest bridge, fountainwhich is more than 1 kilometer long. This fountain is located in Munjuic, Barcelona, Catalonia, Spain. This is a Historical structure which operated first in May 19, 1929 and was damaged during the Spanish Civil War and was completely restored and develop before the 1992 Summer Olympics. 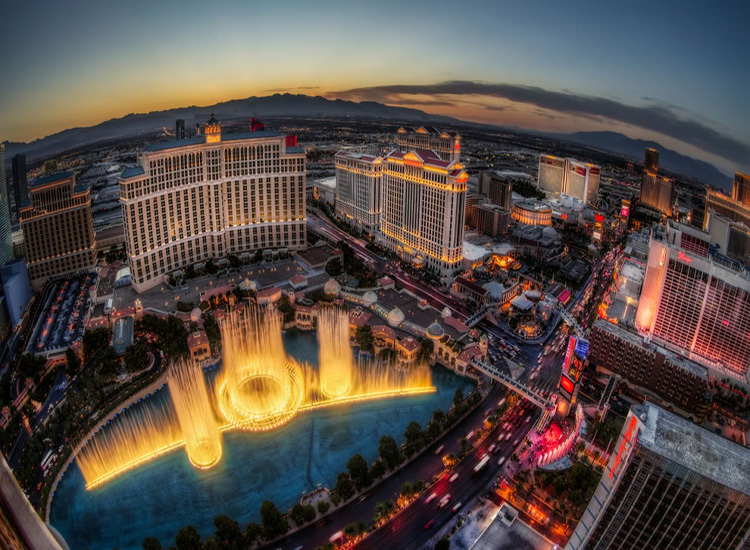 This fountain is located in Las Vegas, Nevada with 4500 lights and more. The fountain show last 5 to 15 minutes with different kinds of music and lights. With this fountain, people will fall in love with its music which is built to send romance to people. It is located in Justine Herman Plaza in San Francisco, California. It is designed and built by Armand Vaillancourt, who is a sculpture from Quebec. 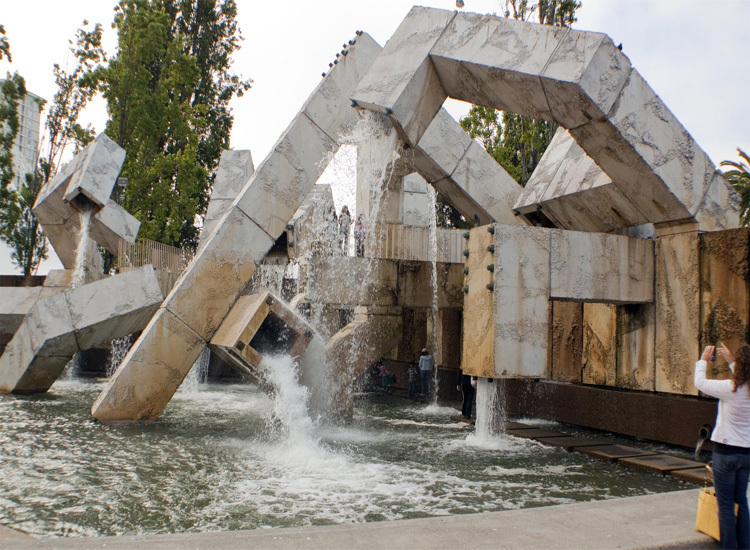 This fountain is known to be controversial and is the landmark of San Francisco. The Buckingham Memorial Fountain This fountain is inspired from a rococo wedding cake style and represents Lake Michigan. This fountain is also known to be one of the largest fountains in the world which is a Chicago landmark located in the center of Grand Park. This is known as Fontana de Trevi or the Trevi Fountain located in Rome, Italy. 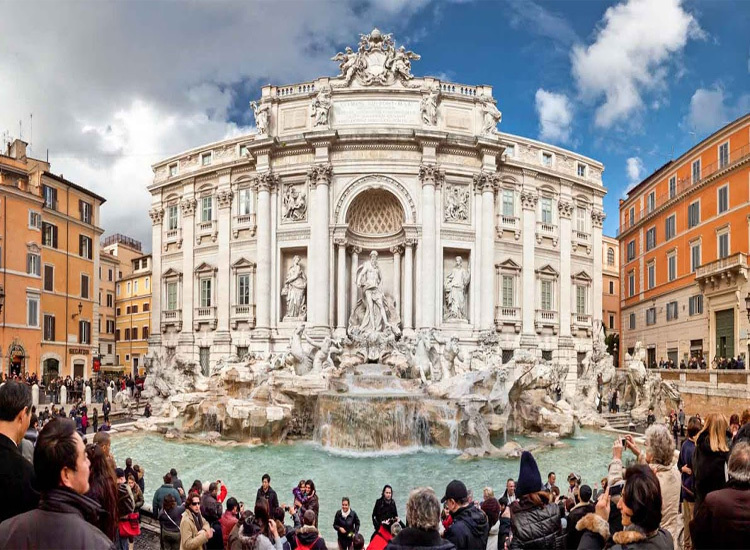 This fountain is one of the most famous fountains in the world which is designed by Nicola Salvi, an Italian architect, which is constructed in the fifteenth century. 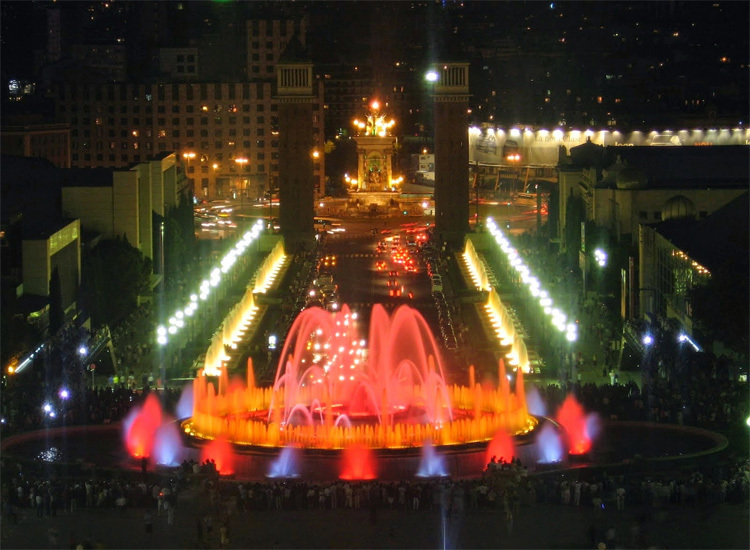 The fountain was designed like a monument with 20 meters in width and 26 meters in height. 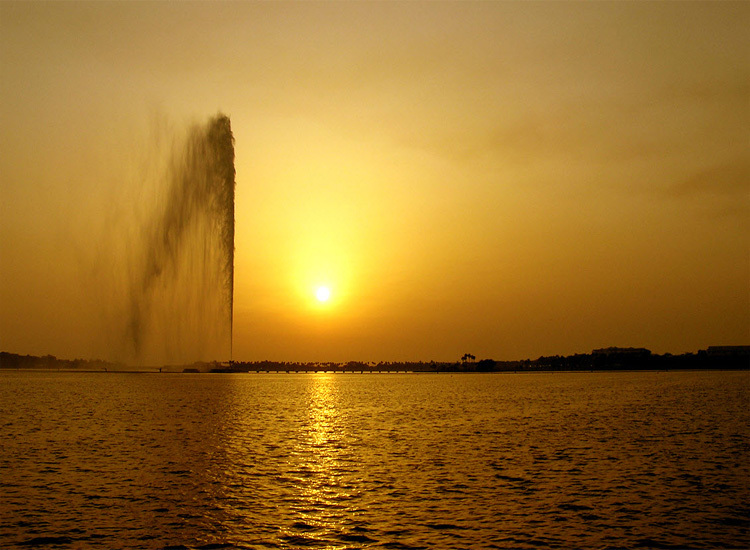 King Fahd’s fountain is known to be the tallest fountain in the world which is listed by the Guinness Book of World Records in the 1980’s. The water fountain reaches more than the height of the famous Eiffel Tower that is 1,024 feet. 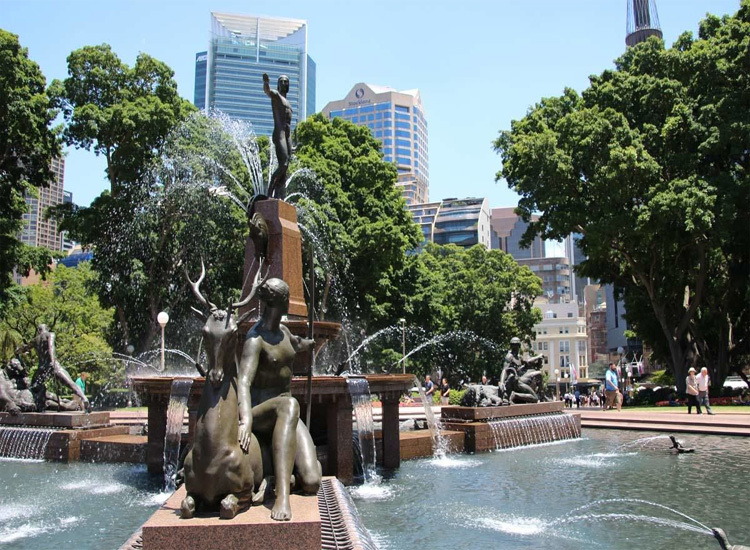 Archibald Fountain was constructed is 1932 at Hyde Park North in the City of Sydney, Australia. It is primarily called the J.F. Archibald Memorial Fountain which is named after J.F. Archibald. The structure of this fountain was inspired from a classical Greek and Roman art and Literature. This fountain is known to be the largest musical fountain in Asia, which is located in Xian, China. 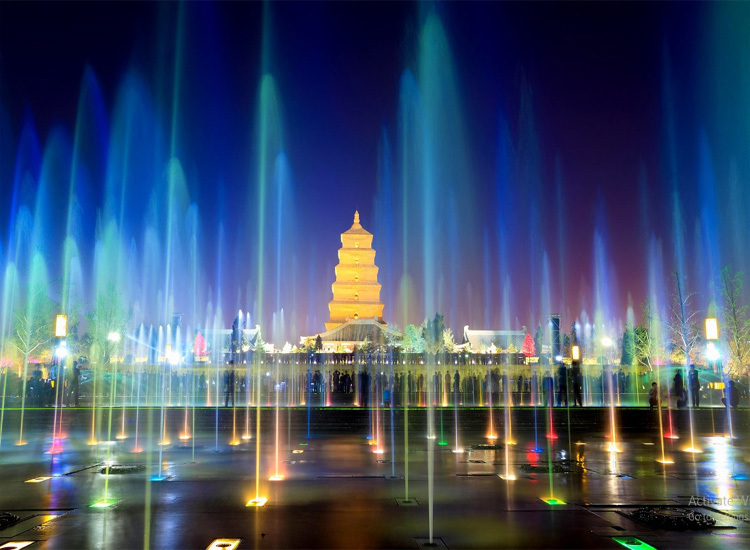 This musical fountain lies in the very center of the North Square, which is one of the famous pagodas in the world. 20 Dreamy Destinations to visit in India in February!